Finaly another update now! My favourite hairmesh (by Peggy). 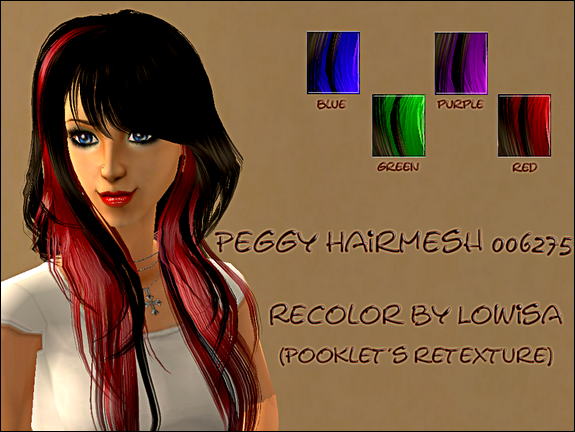 4 custom recolors (red, green, purple, blue), mesh is included in the file. Works for all ages, no EP is required.